Football media availability is usually just a giant cluster, four or five players come out at a time and reporters catch bits and pieces of full interviews so the numbers here might be a little off but just go with it. Hail Varsity spoke with Will Honas for about 5 minutes and 30 seconds. During that time the former junior college All-American linebacker answered 23 questions. He answered a ton because he didn’t say a ton. Honas, one of 10 mid-year additions to the Huskers’ roster, was short, sweet and to the point. Well, maybe not sweet; he is a linebacker after all. And a damn good one. When defensive coordinator Erik Chinander was asked about defensive standouts through the first week of practice, Honas’ name was one of the first to come up. Head coach Scott Frost was just as complimentary. They’re just going to have to work through the whole “man of few words” thing, at least between the lines. Adjusting from junior college to Division I life came pretty naturally, too. Honas called the process “smooth” and shot down any notion things were “overwhelming.” He credited the coaching and support staffs for helping ease his transition and said he’s just trying to get into a groove in Lincoln. He’s not a traditional mid-year addition — none of the new faces are — and that has played an advantage for Honas as he tries to build momentum into the fall. “They’re learning at the same pace as everybody else, which is better than most situations you’d come into as one of those guys,” Frost said. 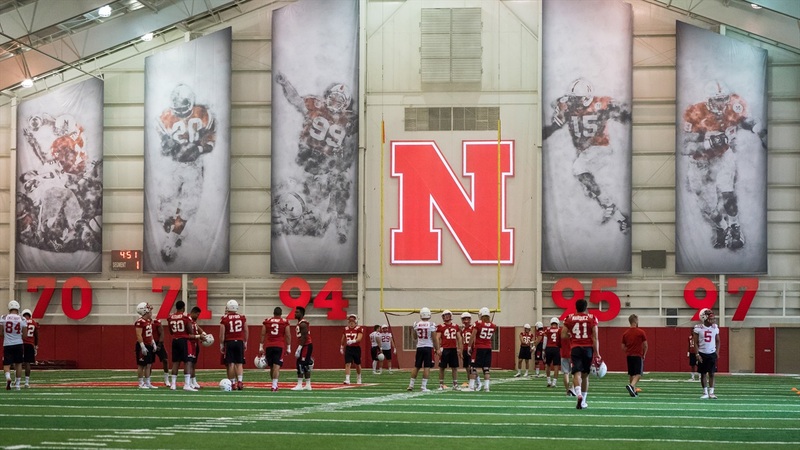 The Wichita, Kansas, native has dreams of playing in the NFL and that’s what made Nebraska and inside linebackers coach Barrett Ruud so attractive. The feeling was mutual — Honas was offered the day Frost was hired — and Ruud has called Honas his “hand-picked” guy. Honas says he’s watched plenty of highlights from Ruud’s playing days and there seems to be a budding relationship between the two. Husker fans are hoping Ruud can get the most out of Honas. During his media time, asking about Ruud certainly did; Honas opened up the most when his new position coach came up. Honas likes that Ruud has the experience and knowledge to be able to relate to what he’s going through, he likes Ruud’s detail-oriented nature even on the smallest things, he likes that Ruud will coach him up on areas to improve, even after a positive play, and he likes that Ruud — and Chinander — have the same no-nonsense, aggressive mindset when it comes to the football field. “I like to play downhill and make tackles,” Honas said.